These pyjama leggings from Peter Alexander are so cute! I love the adorable bear-face design. They're made from a soft cotton so, they are comfortable and although the fabric is quite thin when you hold it, they are surprisingly very warm. I personally don't like being weighed down by heavy winter pyjamas so, the light-weight material is breathable yet cozy and snug. I paired these leggings with a light pink top, which is also on sale. I bought the waffle-pattern because I like it and it matches my leggings but, the top is also available in a plain style. 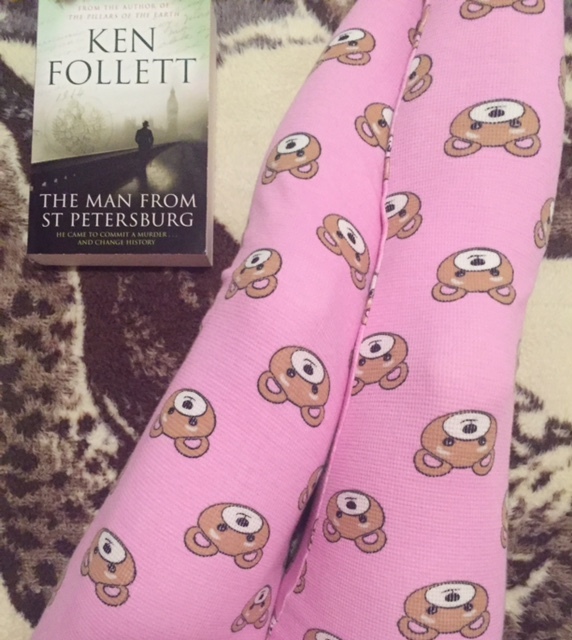 These pyjamas, and other cute prints (I also bought the penguins! ), are currently on sale with a further 30% off the sale price so, they're a great buy if you're needing new sleepwear. They also make a sweet birthday present for any of your girlfriends. There's a special offer on at the moment, both online and in-store - get 20% off all new stock until midnight Sunday.